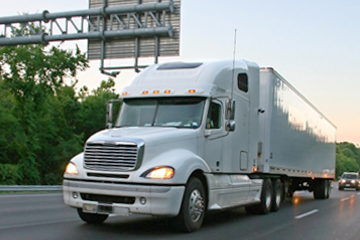 is a leading provider of same day freight services in the Milwaukee/Chicago area. Time Transport has been moving freight efficiently for 20 years. Our fleet consists of 53 semi-tractors and 310 dry-van trailers, hauling freight of all kinds. Find out which solution fits you business needs? We are driven by our heritage and the important values that have been passed on from generation to generation. We do business the way we’ve been taught to live our everyday lives. We take into account the needs of our employees, our long lasting relationships with our customers, and our connection to the community. We work with environmentally responsible carriers in both our transportation and brokerage divisions to be one of the industry’s leading energy efficient transportation companies. All our trailers have a fuel efficient design. We plan to continue to spec our trailers to haul at full weight capacity. This reduces the number of trucks and trailers needed to move our freight. 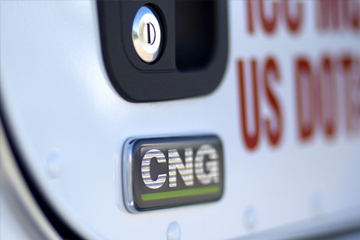 We hope to convert to 100% CNG by the end of 2016 or 2017. 87% of our vehicles run on natural gas and we haven’t bought a diesel-powered heavy truck since 2006. We displaced over half a million gallons of diesel fuel in 2015, which not only provided a costs savings to us, but also contributed to the healthy environment of our community. Improve records through electronic systems. Electronic systems promote a significant reduction in paper usage as well as an increased accuracy for records in all facets of our operation. We will continue to maintain our SmartWay certification. Being a SmartWay Transport partner allows us to benchmark, measure and track our efforts to improve efficiency and reduce our carbon footprint. We will continue to maintain our Wisconsin Clean Cities member. Our membership prioritizes our utilization of alternative fuel vehicles and clean technology. 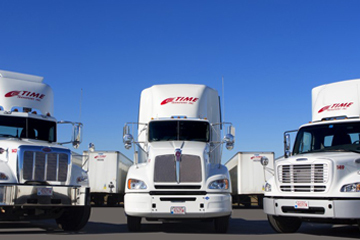 Time Transport is a third-generation trucking company, originally established in the 1930’s. We are a niche operation consisting of only day-cabs, with all drivers home every day. Our fleet consists of 40 semi-tractors and 175 dry-van trailers, hauling freight of all kinds. We employ 45-50 local drivers, mechanics and office personnel in Racine County. Time Transport and its predecessors have maintained a 32-year carrier relationship with the nation’s 2nd largest brewery. Our company is among the top 1% transportation companies hauling for Schneider Logistics, the primary broker for MillerCoors. © 2017 Copyright Time Transport, Inc.